Exchange Server Database Files (EDB) are the most important files as they contain the information of mailbox of user. Due to Database corruption EDB files get damaged and the best way to recover is via converting EDB files to PST. The choice of Stellar EDB to PST converter is considered best as it efficiently converts EDB files to PST. Support for multiple file conversion and migration of files to Office 365 adds advantage to this tool. While most of the users acquire the need of EDB to PST tool in recovery process the Stellar EDB to PST converter can be used to create back up of Exchange Server database files too. Moreover the converter from Stellar supports both online and offline conversion of files. Thus Stellar EDB to PST converter is the most appropriate and suitable tool to migrate Exchange Server Database Files to MS Outlook PST Files. Easy Conversion of EDB to PST Files: Stellar EDB to PST converter makes it extremely easy to migrate files from Exchange Server. 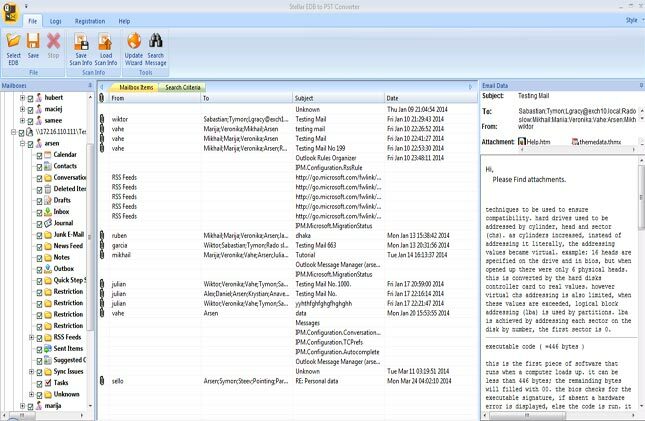 The tool extracts all the mail items, contacts, addresses from EDB files and exports them to Outlook PST maintaining the integrity. Converted PST file has original format as that of EDB files. Exports Files Without Dismounting Database: Dismounting the database stopped the ongoing activities in Exchange Server, which directly affects the users as they can no longer work. 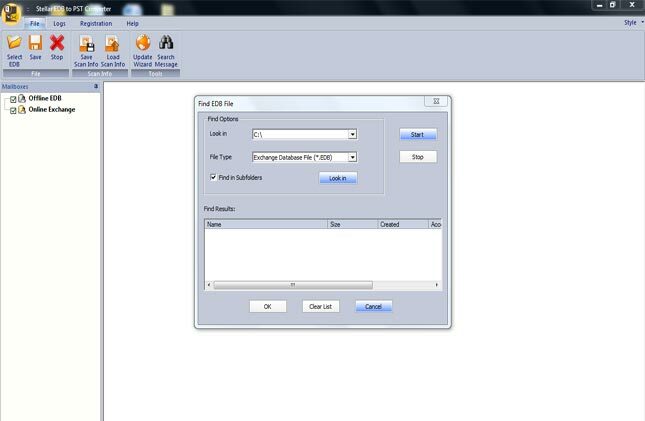 Stellar EDB to PST converter perform archiving of data without dismounting database and users can continue their work. Capable of Converting EDB to PST Offline/ Online: Productivity of organization is the most important factor and if the EDB files are converted to PST offline it hampered the User services. Hence Stellar EDB to PST Converter can convert EDB to PST online in one go without any glitches. 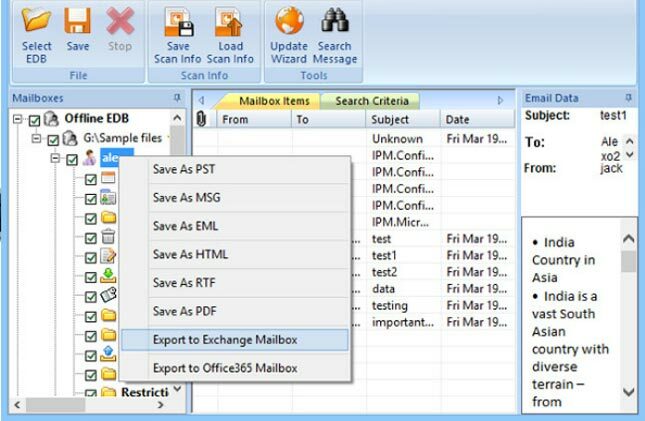 While in Offline EDB to PST conversion, Exchange Administrators can access user mailbox data. Search Files on various Parameters: Stellar EDB to PST converter has enhanced search option to find a particular mail, message or other data item in EDB files. After scan users can search items on the basis of ‘To’, ‘From’, ‘CC’, ‘Subject’, ‘Body’, ‘Attachment’, ‘Item Type’ etc. After selecting one or two terms you can sort the search by selecting preferences ‘Any Criteria’, ‘Exact Match’, ‘Both’. Export Public Folders to Office 365: Qualities of Stellar EDB to PST converter are not limited to this only. The software gives direct access to Exchange Pubic Folders which have project data. This data can be moved to cloud based Office 365 easily without any loss. 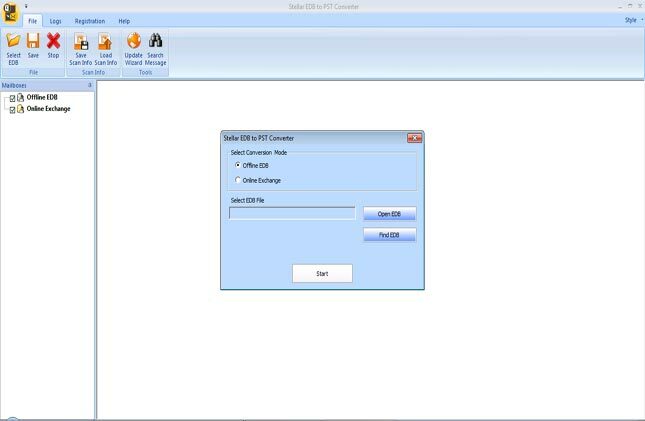 Support: Stellar EDB to PST converter can be used with Exchange Server version 2016, 2013, 2007, 2003, 2000 and 5.5. It can be installed on Windows 10/ 8/ 7.